Are you ever bored and looking for something to do, but not sure how to occupy your time? You don’t want to watch television or play on the computer as you are in the mood to do something unique and creative. Good news! There are several crafts that can help chase away boredom. Many of them use materials that you may already have at home, so you won’t have to buy any supplies to make them. Do you have a bunch of old magazines laying around the house that you’ve already read? If you do then this is the perfect craft for you. An inspiration board can help you stay positive when times are tough. It can also provide encouragement when you are trying to reach a life goal. 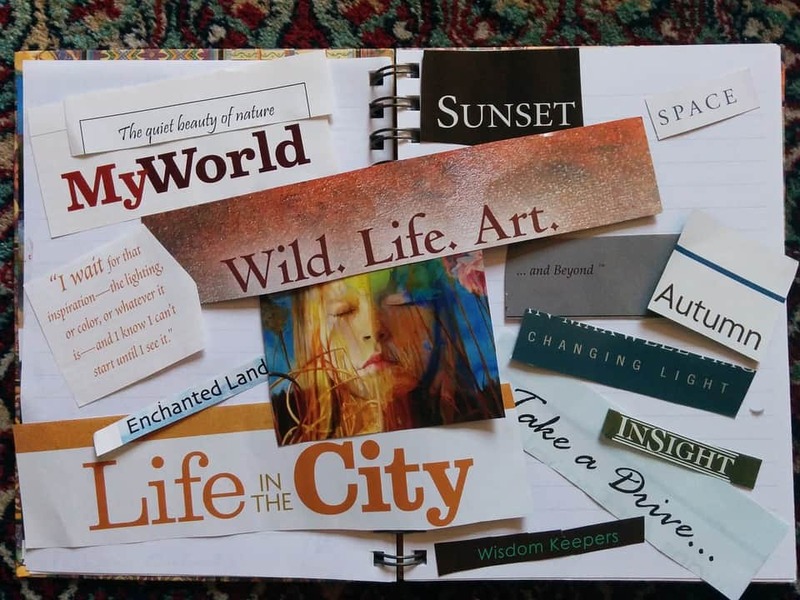 To make an inspiration board, first determine your theme. For instance, if you want to visit a certain place then your theme would be travel. For an encouragement board, your theme should be positive messages or uplifting images. Next, round up all your magazines and cut out anything that you find that fits in with your theme. Then, glue all these items onto a piece of paper, or even a poster board if you have one available. Once the glue has dried, find a place to hang up your board so that you can view it every day and soak up the inspiration. This craft is a great way to turn a plain glass into a beautiful vase. To begin, choose a large glass that doesn’t have any sort of decorations or emblems on them. Next, go outside and collect about 10-15 sticks. Once you find all of the sticks, head back inside. Plug your hot glue gun in to let it warm up. Use scissors to cut the sticks down so that they are about half an inch taller than the height of your glass. You don’t have to cut the sticks exactly the same length. Attach the sticks to the outside of your glass using a hot glue gun to make a beautiful, rustic vase. Afterward, you can fill the vase with your favorite flowers. Many of us indulge in a cup of coffee every morning. What this means is that our coffee mugs get a lot of use! You can restyle your coffee break or make a memorable gift by creating a personalized coffee mug. This craft is easy to make and perfect for gifting. To start, you will need a plain mug of any color. 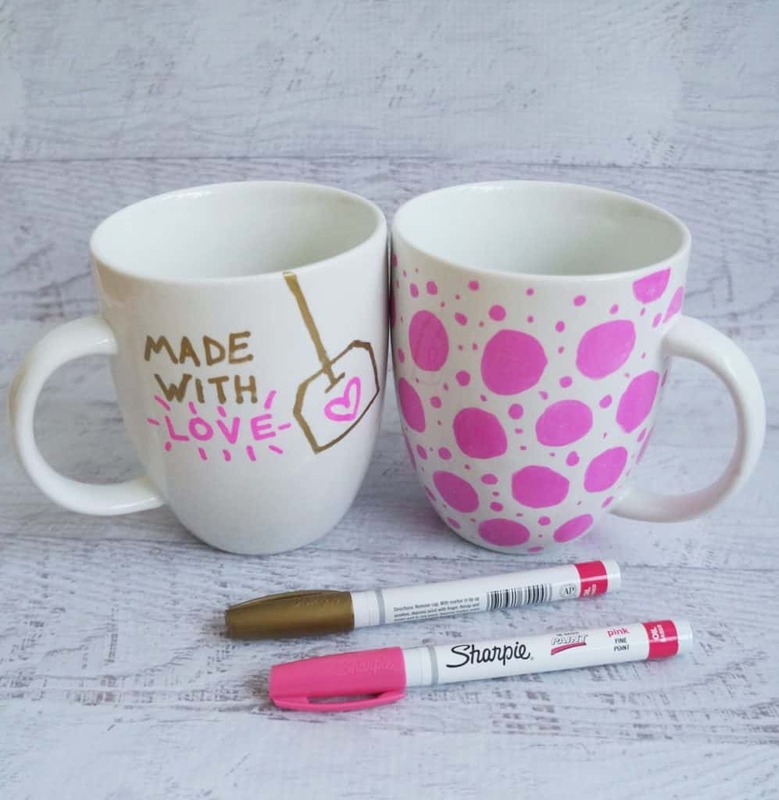 Next, use permanent markers to create a design on the mug. You can use any colors you like and any sort of design. If you are making the mug for someone, choose a design that will be meaningful for them. Once you finish decorating the mug, place it in a cold oven. Turn the oven’s temperature to 450 degrees. After the oven preheats, set a timer to 30 minutes. When the timer goes off, turn the oven off, but leave the mug inside. Set the timer for another 15 minutes and once it goes off, crack the oven door open. Let the mug sit inside overnight to allow the permanent markers to set completely. The next morning remove the mug. Your new mug is now ready to use! The next time you open a can of soup or vegetables, don’t throw the can away. 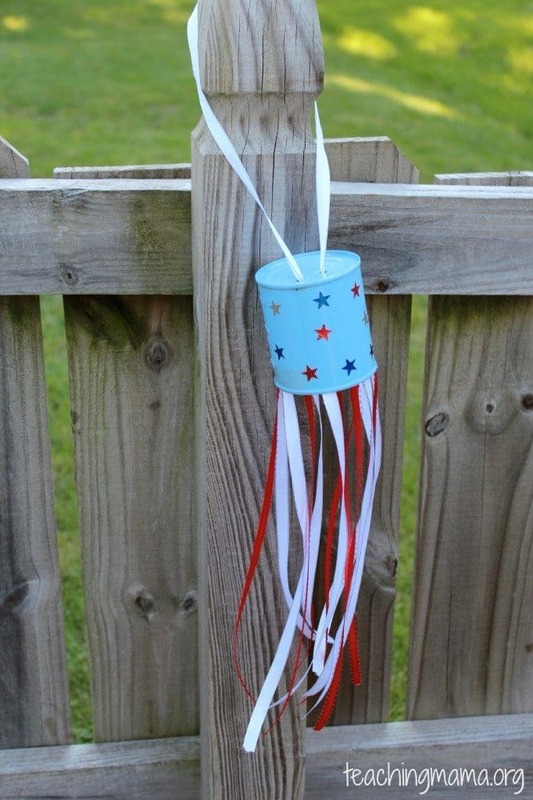 You can use it to make a tin can windsock. To begin, remove the label from the can and wash it thoroughly. Dry your can and set down with the unopened side facing up. Place a screwdriver on the top and hit it with a hammer to make a hole. Make another hole about half an inch apart. Paint the outside of the tin can anyway you like. You can paint it one color or make a design. Set aside and let dry. When the tin can is fully dry, plug your hot glue gun in so that it warms up. Use scissors to cut some ribbon into 2-foot strands. You’ll need around 15 pieces. Glue about half an inch of a piece of ribbon to the inside of the tin can. Continue gluing pieces around the inside until there is no more ribbon left. Cut a 3-foot section of ribbon and string through the holes in the top of the tin can and then tie a knot inside. This will be used to hang it up. If you’d like, you can also string bells through the bottom of each of the 15 pieces of ribbon so that your windsock makes noise on a windy day. As you can see, there are a variety of different crafts that you can make at home. One of the nice things about these crafts is that you really don’t need any special materials to make them. Most of the items you’ll need you probably have at home anyway. So the next time you are bored, don’t just sit around wishing you had something to do. Make a craft that you can display around your home or give to someone as a gift.